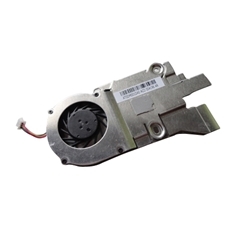 Description: New genuine Acer Aspire One netbook cpu fan & heatsink. If you have one of the models listed and your netbook has the Intel Atom N550 cpu then this is not the correct fan. Part #'s: 60.SDE02.006, KSB0405HA, AT0DM001DA0.